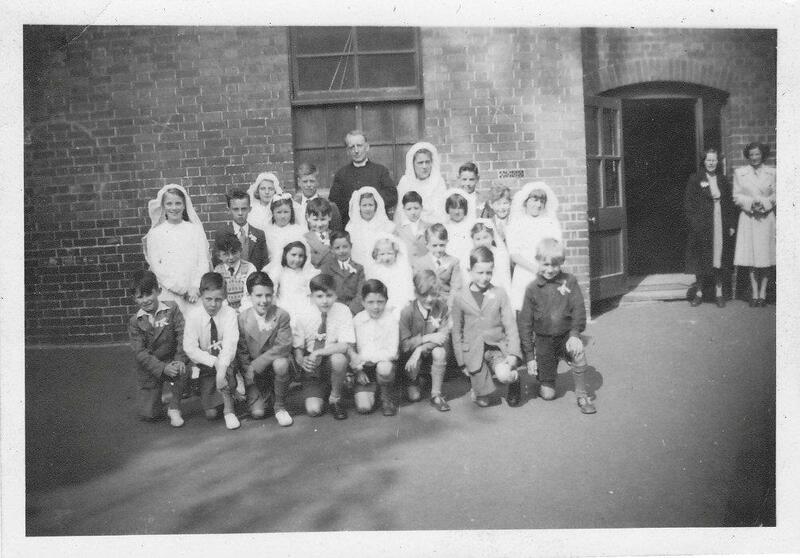 I found one more black-and-white photo taken outside the old Reading police station in Valpy Street during one of the Corpus Christi processions through Reading which shows altar boys from St James (my Dad took it so it’s basically me plus some others!) led by a man who I recall was called Mr Gallaghar. He was one of the committee members of the Catholic Kernan Club which was located in Kings Road. Mr Gallaghar is in the pin-striped suit. I am immediately behind him. 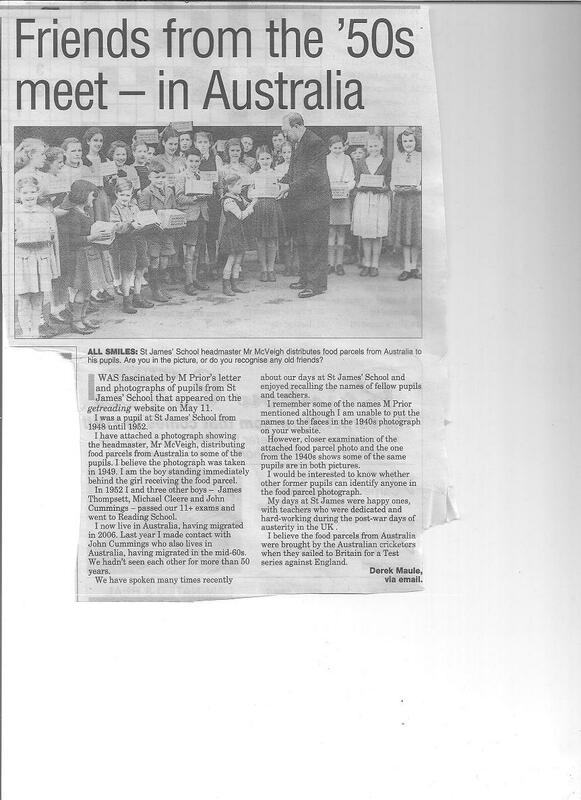 Others may be able to recognise themselves in the photo taken I think in 1949. The Reading Post published the following photo which had been sent in by a Barbara Hughes in April 2011. I think a Maureen Prior identified that in the middle row, was her sister Bernadette, who passed away in the USA in 2005; also her cousin Madge, middle front, who lives in Reading. She also recognised the Greeves family and Doreen Barry, Peter Fusaro, Gilbert Gough, Pat Dooley and Eileen Naish. The first communion photo below was also sent to me by Dez – I don’t know where he finds them! If you click on the photo, it should open up in a separate web page and be a little larger. Dez is in the front row, third from the left. He thinks I am the last boy on the right of the front row – I’m not too sure. Next but one to me is Malcolm Lake. 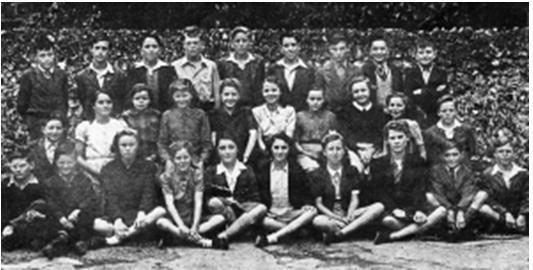 Mickey Cleere is second from the right in the second row. Mike Kelly is second from the left in the third row. The Priest is Father (later Cannon) Murphy who officiated at the first communion Mass. If anybody can identify any of the others in the photo, we would love to hear from you.